Photo: Courtesy of Priscilla Yuki Wilson. Back in June, journalist Esther Honig asked retouchers around the world to Photoshop her makeup-free face in reflection of their countries' beauty standards. The altered images she got varied greatly, from ones that gave her different hair or eye colors to those that put her in full makeup, fake eyelashes and all. This week, reports The Huffington Post, fellow journalist Priscilla Yuki Wilson decided to follow suit with a Photoshop experiment of her own. One major difference, though, is that Wilson is mixed-race. As a woman of Japanese and Black descent, Wilson has always struggled to fit into established ideas of attractiveness. As she points out on her personal blog, while Honig's face served as a blank canvas to be transformed by contrasting standards, hers was seen as more of a challenge. Some of the retouchers changed her eye and face shape, some made her skin much paler or darker, and others — like those from Macedonia — rendered her almost unrecognizable. "I am living in a culture that's still adjusting to my kind of face," Wilson wrote on her blog. "I found that my face actually challenged the application of [Photoshop] in this instance. 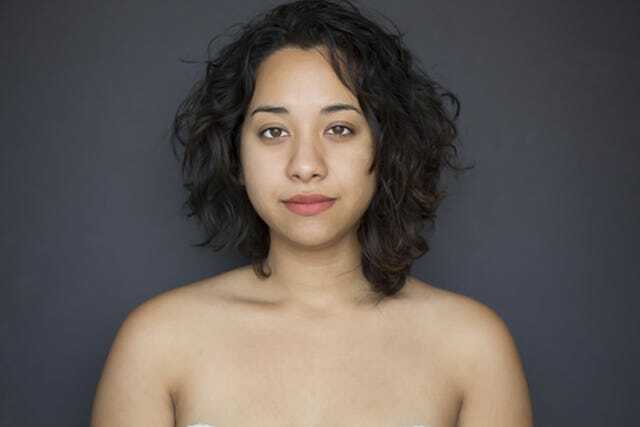 As a biracial [woman] there is no standard of beauty or mold that can easily fit my face."